If you’re still in dark, you can read all about HatchMaking feature by following this link. In this article, we’ll look at what you can do with the reagent called a Hatch Pepper. 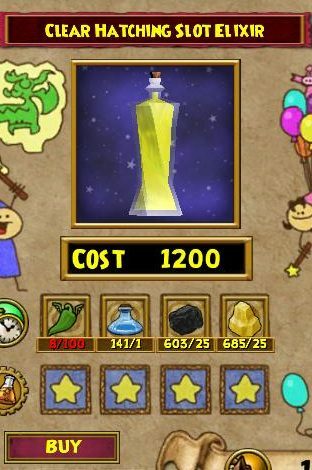 You get this reagent every time someone hatches with your pet in the HatchMaking Kiosk. When you gather enough of this new reagent, you’ll be able to craft the things Doctor Purreau is offering. The Kiosk is the most expensive recipe when it comes to Hatch Peppers. The mechanic behind it is the same as with the Team Up Kiosk. 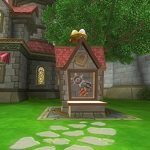 You craft (instead of buy) the item and place it in your home. It can save you some running time, allows you to stay in your own private home as well as gives you the luxury to own one Kiosk. But that’s pretty much it, it works exactly the same as the one in Pet Pavilion. Unless you’re a seasoned hatcher who will regularly use HatchMaking services, just save your Peppers for something else. Even if you’ll be using it daily for hatches with pets. 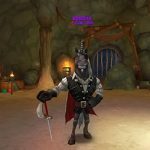 You will eventually get the pet you want and your Hatching Journey will slow down. 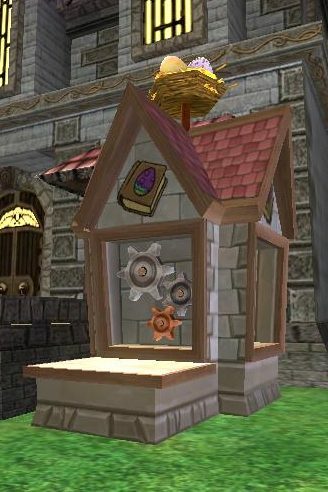 Owning a HatchMaking Kiosk is recommended for those players, who will regularly use it to offer their pets. And we can even narrow this category to the most successful ones. These players will have the most Hatch Peppers and will most likely make good use of the Kiosk housing item to regularly supervise the state of their pets. In short: this is a good item for hatchaholics. No. Just no. Although they’re relatively cheap (only 10 Hatch Peppers per snack) it’s still not worth to craft them. And while they’re a bit stronger than regular snacks they’re still not worth crafting. 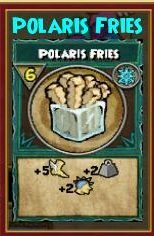 KI should probably increase the xp for Doctor Purreau recipe snacks to around 15-20 while keeping the same price. That would sound more reasonable. It wouldn’t be as strong as Mega Snacks but would be much stronger than regular snacks. Plants are still the best source for snacks, so this is what you should aim for. Most known are Evil Magma Peas and Couch Potatoes, so try to get some of those. And if you don’t want to farm/spend crowns for these seeds, then just go ahead and buy some Prickly Bear Cactus for gold. In short: these aren’t currently worth crafting. Elixirs will probably be the most desired products to craft. And with good reason. Whether you’re a seasoned hatcher or a beginner, these elixirs will come in handy. Maybe you have the opportunity to hatch with a dream pet but you don’t have a timer. Maybe you’re simply too impatient to wait 21 hours for a Red Ghost to hatch. Or perhaps you really need a hatch but are completely broke. Well, these Elixirs will solve your issues. 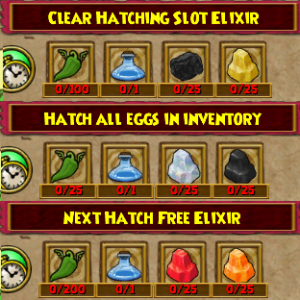 Hatch all eggs might be good option for the double pet xp member benefit. Since it hatches ALL your eggs, you can just spam and hatch several pets and train them in bulk (warning: you’ll still need a reset timer and probably energy elixirs). Purreau’s Potion would also work great in this combination though, so make sure to prepare lot of Hatch Peppers. The last Doctor Purreau recipe for elixirs is the mysterious Next Hatch Free Elixir. Depending on how it works, this will be either be a big success or a big fail. If it’s one time only for only Gold-based hatches, then you’d better off not buying it. But if it includes Crown hatches, then the story is quite different. The most interesting thing is that it lasts 1 hour; it’s not like the other two elixirs that are just 1 time only. If this means that every single hatch is free in this 1 hour span, then this might become really powerful elixir. Will you try to craft any of the new goodies? What will be your priority?